Race start / finish line is located on Independence Street between Maple and Elm. USATF Certified mildly rolling, out and back 5K, 10K, and half marathon course. Great Land Run c/o Enid Running Club; PO Box 645, Enid, OK 73702.
post marked no later than Friday, September 14th. On-line registration/pre-registration will be open through Wednesday, September 26th. Enid Running Club members will receive a $5 discount. After September 26th, the registration fee is $40 for the 5K, $45 for the 10K, and $70 for the half marathon. Can't make our run on race day? 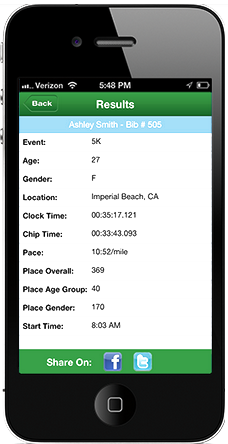 Choose our VIRTUAL RUN option and receive a bib and medal for running on your own schedule! A great way to support Enid and Chisholm public schools! $63 + tax includes either a double queen suite or king suite with free breakfast and late checkout. Hotel is located 0.6 miles from the race start/finish! Call (580) 234-1200 to reserve your suite! If your organization would like to join our Team Challenge, contact us at enidrunningclub@gmail.com to organize your team (for businesses and other organizations). A traveling trophy will be awarded to the team with the highest percent participation (based on total members of your organization) and the best average team race finish time for the 5K. This is a fun way to get the members of your organization to participate! Pre-registered runners (by September 14th) will receive long-sleeved tech shirts at packet pickup. Registrations that take place after September 14th will receive shirts as supplies last following the race. Same day registrations may not receive a race shirt. Race shirts not picked up will be released to late registrants following the race. All participants will receive a cool new Finisher's Medal! will receive a special series award and a Finishers' Shirt! Awards MUST be picked up by winners following the race. They will NOT be mailed and finishers will not be able to pick up someone else’s award this year. Chip bibs will be distributed at packet pick up and on the morning of the race. It is very important to wear your bib correctly on the front of your body - the timing chip is integrated into your bib! Due to insurance regulations, earphones, headsets, roller blades, strollers, bicycles and dogs will be prohibited. ALL PROCEEDS BENEFIT LOCAL PUBLIC EDUCATION! Please visit http://greatlandrun.com/ for more details! Sponsorship Opportunities Available! Interested in being a Sponsor at the $500, $1000, or $2500 level? Contact us at enidrunningclub@gmail.com!